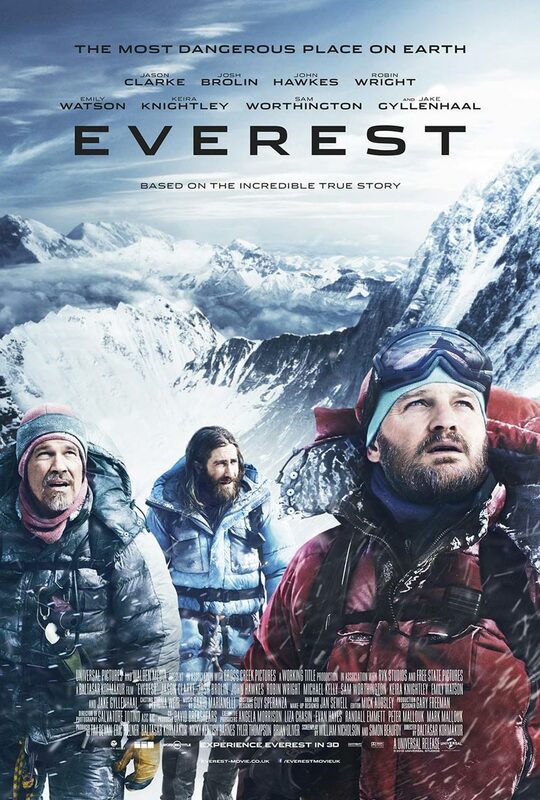 This movie made me feel like I was climbing Everest. Exhausting, tough and an instant regret. If NOT for its impressive ensemble, I don’t think this would have made the big screen. The opening certainly showed promise. It may have been slow burning but it was watchable as the gang ascended upon the monstrous mountain. I couldn’t believe the stars that popped up in this. The only problem is that you soon forgot them by the next frame. Jason Clarke managed to make a memorable impression as the ultra sincere mountaineer Rob Hall. He had good chemistry with Keira Knightley. Shame that Knightley took the back seat in this arduous affair. She did her best with the minute role of the pregnant spouse and delivered a convincing accent. Salvatore Totino’s cinematography was fantastic to look at as the crew passed through each base. Ascending further and further. The trivia and facts about the side effects upon reaching certain altitudes made for crazy but interesting stuff. BUT it also made me question why people do it in the first place. However after 60 minutes of more statistics, more cliched banter and weak back stories (Doug’s postman on Everest story line being a particular highlight), my eyes began to wonder. The main problem for me was that despite the cast’s best efforts, they were having to deal with such unmemorable characters. I understand that it’s hard to stray from the source material and I can respect Kormakur’s attempt to implore more realism BUT for a two hour feature you need more depth and interest. The only other character I could remember after Rob was Beck. The Texan businessman played to perfection by Josh Brolin. BUT that was also down to the miraculous events that unfolded with him. When the storm finally hit, a gigantic black cloud spewing hail and arctic winds, I was hooked. It was tense and nail biting. I wouldn’t know what to do in that situation. Nature being the true killer. BUT I am glad I didn’t invest in 3D. It wouldn’t have added anything to the experience. After that cloud sequence, it became incredibly difficult to see anything. It was grainy and dark which certainly heightened the tension in some scenes. Especially as Beck battled to see through the blistering arctic conditions with his failing eyes BUT generally it was disorienting. However, in between the volatile storm episodes, there wasn’t much else. You also started to pick out the errors. I was a little unsure about Kormakur’s intentions. What was he actually trying to say? This wasn’t a proper survival story. A lot of lives were lost. The commentary on the competitive nature of guide tours impacting on deadlines was expertly personified in Jake Gyllenhaal’s hippie climbing instructor. It was a shame that the character was nothingy and soon got on my nerves. BUT it didn’t excuse the fact that Hall ignored protocols that he had enforced. He delayed the climb down when he was told by his team about the storm. If anything, Everest showed how incompetent these guide tours really are and that the only people who climb it are idiots with death wishes and too much money. There were some touching scenes BUT they were soon bogged down by monotonous talking that was tragically repetitive and hammy scenes that just came off unintentionally comical. I had to laugh at the fact that each character had to remove their masks just so the audience knew who they were. Even when they shouted each other’s name repetitively, I still struggled to remember which actor was playing who. The helicopter sequence was tense and offered a little more in the vein of Vertical Limit. Suspense, tension, shame there wasn’t more of it. Martin Henderson, Sam Worthington and Emily Watson were wasted in their stocky roles. Disappointing. The end credits were so downbeat and nihilistic that I actually wondered why they even bothered to make this movie in the first place. A shambolic affair. For those familiar with the story and those who aren’t, stick with the book. I wasn’t expecting a big dumb blockbuster. I was prepared for a challenging drama of survival. Challenging was certainly right. Tragically, it offered little for me. He’s back but should he have bothered? 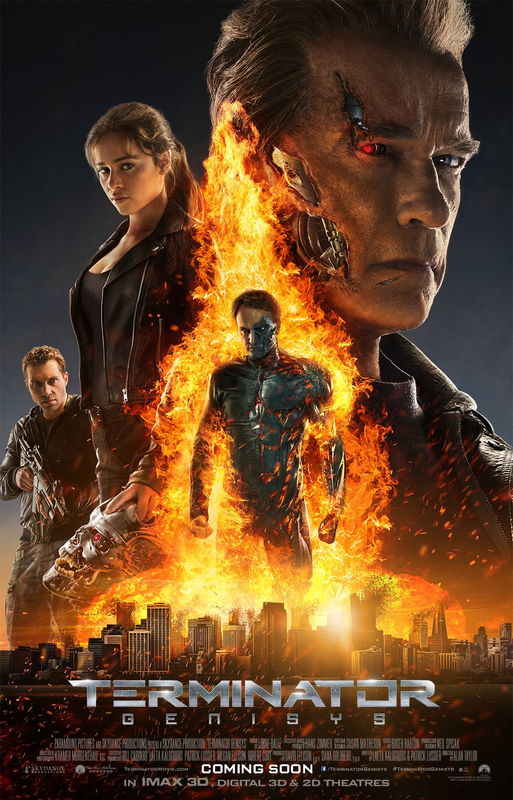 Let judgement day commence (See what I did there) as I tear into the latest offering of the Terminator franchise. In a nutshell, I enjoyed this a whole lot more than I expected. So what happens this time? John Connor (Jason Clarke) sends Kyle Reese (Jai Courtney) back in time to protect Sarah Connor (Emilia Clarke), but when he arrives in 1984, nothing is as he expected it to be. I think it really comes down to how much of a Terminator fan. You are. One thing we can settle on. If you didn’t like the first Terminator, then firstly why are you here? And secondly, don’t bother seeing this one. The original was (NO! IS!) a sci-fi classic. A iconic and incredibly quotable piece of filmmaking. I didn’t think Cameron could top it. Boy oh how I was wrong. Terminator 2: Judgement Day proved that sequels could surpass their predecessor. Taking it to another level. BUT then we had to have more. Terminator 3: Rise of the Machines may have been a cliched-ridden retread of Judgement Day with a wailing Carrie from Homeland. BUT somehow I still enjoyed it (What?). Oh well . . .
And now we have another sequel. Another number in a franchise that no one really expected or wanted. Especially after ROTM . . . For some. A snippet of an ageing Arnie fighting his CGI 1984 self and I was sold for this latest offering. If anything, it got straight to business. Explosions, carnage and mayhem. The inevitable voiceover explaining the consequences of Judgement Day. Even if I noticed the date had changed again. A niggle but one that I kept quiet about. The only problem was that there would be more of those niggles to come. Courtney seemed a little wooden as Reese to begin with. BUT then he was playing the soldier tasked with saving the resistance and possibly the entire world . . . Apparently. We have had a number of John Connors in the past (The irony in that statement) but Jason Clarke does enough to hold his own and plays the future saviour well. The 3D was actually pretty good. Cyborgs and missiles flying out or zipping across the screen in every other scene kept my eyes twitching. Brilliant. Worth the investment. I loved the pace. The film didn’t really drag and within 15 minutes, Reese was already embarking on his biggest mission yet. BUT this time everything has changed. I will do my utmost NOT to spoil anything BUT I give my warning now. Something happens that changes everything. Reese goes back to an alternate 1984. What I loved was the shot for shot re-enactment of the original Terminator opening. The alleyway, the clothes store. It ticked all the boxes for continuity for me. The Terminator fan in me buzzing. And once a hooded ageing Arnie revealed himself to his ’84 counterpart, “I’ve been waiting for you”. I had a big grin like a Cheshire cat. BUT with all the timey wimey guff. I could feel myself asking questions. 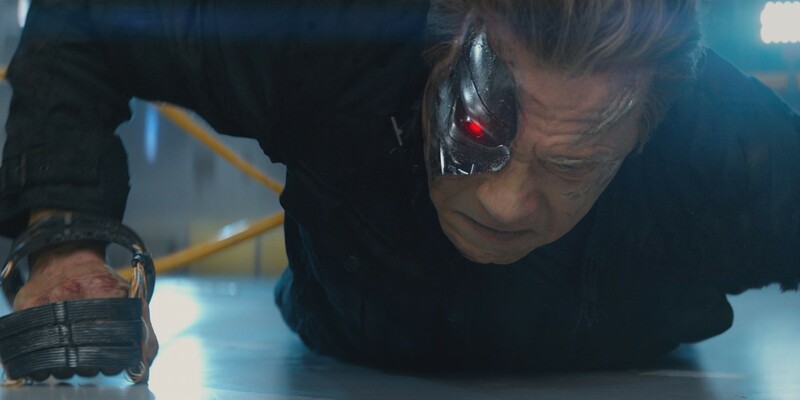 Does that mean that the events in the other Terminator movies never happened now? That universe now gone. It certainly meant so for the ROTM and Salvation films. Some will rejoice. Others maybe surprised. Game changer? Things got even more baffling as one of the officers turned out to be a T-1000 in disguise. NO Robert Patrick, guys. Sorry. I was gutted. Not even a CGI version. Byung-hun Lee didn’t do a half bad job. BUT he was always going to fall short of Doggett. Sorry, Kristanna Loken. On the issue of perfect casting, I couldn’t think of anyone better to play the feisty female fighter that would give birth to the leader of the Resistance than Emilia “Khaleesi” Clarke. Aspects of Sarah Connor’s character may have changed but if anything it was for the good. I loved Linda Hamilton but her 1984 Sarah Connor unfortunately was a blithering mess (And rightly so. She was a waitress in her twenties being chased by a future assassin). I loved that she was resilient, resourceful and knew what to do. Even if her “Pop” was an emotionally detailed future cyborg. If anyone was a blithering mess, it was Reese. Clarke and Courtney had great chemistry. Which, of course, would be crucial. They worked well and made their inevitable pairing a lot more bearable and watchable. BUT of course, there is one man. That Austrian bodybuilder who would become one of the most iconic figures in film history. The spewer of a thousand quotes. Oh yes, he’s back! And very much on form. Arnie proves that age hasn’t hindered his commitment or humour. Surprisingly, he is not in it as much as you think but every time he is, he steals the scene. Some cheeky scientific mumbo jumbo about ageing skin tissue to explain an ageing Arnie and we are good to go. “OLD but not obsolete” mutters the Austrian cyborg. A demented smile spreading across his face. Legend. Writers Laeta Kalogridis and Patrick Lussier don’t do a bad job of tackling the alternate realities. The theorizing did get a little heavy in the middle act after all the mayhem. All they had missing was a mad Doc with a chalkboard in the background. 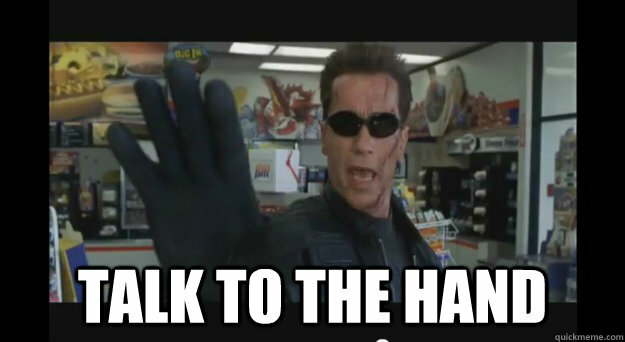 BUT luckily Arnie’s charm politely pokes fun at the ridiculousness of it all and lightens the mood. It does work. Theoretically speaking. I was just a little annoyed that the trailers revealed a little too much about John. It would have been such a bigger twist if it wasn’t being heavily flogged everywhere. He’s not the John we know, anymore. An interesting development. Some may argue that it is another retread of T2. BUT Skynet messing with the saviour? Come on. J.K. Simmons was great as O’Brien. A copper who keeps crossing paths with the time travellers over the years. It’s just a shame his character was a little unnecessary. An Oscar winner and still only given tidbits? Really? He still nails it though. The special effects were fantastic! I was worried from all the early trailers that the new CGI was getting worse and more cartoony. Luckily they must have gone back over the film because the detail was impressive. Still got nothing on Stan Winston’s works BUT not bad. At least Arnie didn’t look like he had silver velcro on his face like the early images offered. As I mentioned, Skynet inevitably make an appearance but with a new face. Trust me. The actor they chose for the role will spur a number of ironic time jokes but I’m not going to spoil it. BUT WHO? WHO? WHO could it be? By the closing moments, I felt baffled and numb. The plot holes and questions increasing as the fiery finale came to a close. Things are definitely left open because the future must still happen for future Arnie to come and save a seven year old Sarah? Because that reality is still happening? Right? Yep. Marks did drop for that. BUT to get a seal of approval from James Cameron as the film that should have followed on from Judgement Day must mean something. I didn’t see him do that for the others. If there are going to be more instalments of this calibre then I am prepared to keep watching. I actually feel excited about the next one. And hell, the pay off might not be that bad. It will never top T1 and T2. That was always going to be a huge ask BUT it did tick the majority of the boxes and surprised me. Something I didn’t expect. GET TO THE MOVIES NOW! Tipped to be the biggest flop of 2015. An unjustified tag line may be undeserved but this clunky affair still leaves a lot to be desired. A disgraced member of the military police (Hardy) investigates a series of nasty child murders during the Stalin-era Soviet Union. Tom Hardy was superb. A powerhouse performance. He carried the film and was the only actor to deliver a convincing accent and keep in character. The opening 30 minutes zipped along. If anything a little too quickly. We watch Hardy’s Leo Demidov climbing through the ranks from an orphan on the run to a decorated war veteran. I expected more of a relationship between Hardy and Mark Lewis Jones’ Tortoise (Master and Commander: The Far Side of the World) but it didn’t really surmount to anything. He takes Leo in as a surrogate son but as soon as we are caught up to date, his character is pushed into the background. A shame. Joel Kinnaman was actually quite impressive. He played the green eyed Vasili very well. A coward forever lurking in Leo’s shadow. A nutter hell bent on taking his anger on those beneath him. His punishment on a family of farmers for hiding a suspected fugitive was relentless. 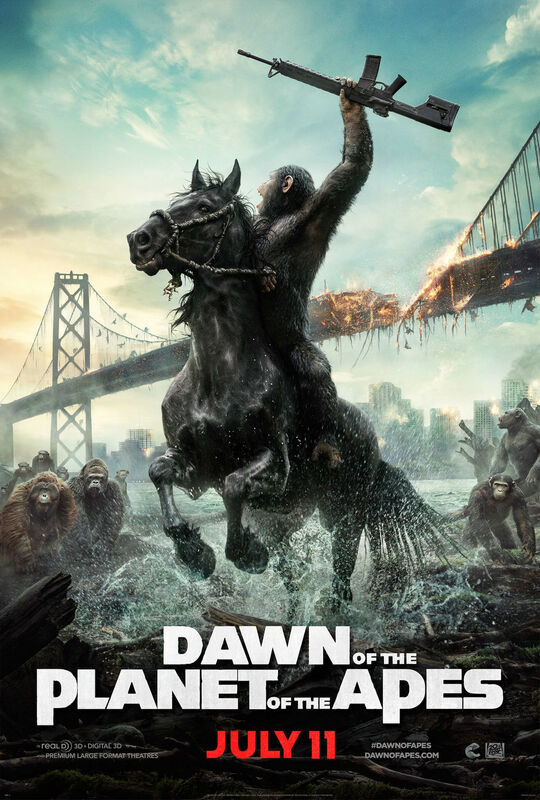 However, there was a highly comical and OTT cornfield punch up between Hardy and Jason Clarke (Dawn of the Planet of The Apes) that killed the tension and suspense. BUT an interesting development soon put things on the right track as Leo’s wife (Noomi Rapace) is accused of giving secrets to the British embassy. For the first hour, I kept thinking to myself; “Where does the child killer story come into this?” It felt like a different film. Two story lines meshed into one and neither really came off. I was more interested in Leo’s exile after refusing to give up his wife. Noomi Rapace and Hardy reunite yet again after their pairing in The Drop. They had good chemistry and certainly kept things watchable. The exile sequence was compelling. I was happy to see more of that factory town situation. Leo reduced to the equivalent of a PCSO. While Rapace’s Raisa, a fully qualified teacher, is purposely made a cleaner at the school. I was intrigued with the Stalin ideology that was enforced in the 50s. “There is no murder in paradise”. The deluded belief that no one kills in Soviet Russia was baffling. Those who opposed any ideals were removed either temporarily to these slum towns or permanently. The child killer subplot finally arrives and it was interesting (To begin with). The killer sneaking around the tracks like Jack the Ripper. A cloak and cane being the only things we see as each child is picked off one by one. BUT it soon became a mindless walk through with terrible red herrings. It was sloppily put together and didn’t fit in. The spluttering pace did test me. At a whopping 137 minutes, the film dragged. It seemed to be a case of all or nothing. In one scene we have an exhilarating escape attempt on a train as the couple evade capture. The next; mindless exposition. Boring forensic information delivered with no conviction or interest. The killer is revealed to the audience too early on which kills any tension. And when we finally get the answers, I was left wanting. The film suggested that there was a bigger conspiracy at play with Leo being stopped at every possible opportunity. Was the killer within their own ranks? Oh no. The conspiracy was that Vasili wanted Leo’s position and was jealous that his wife was not with him instead. That’s it. Leo had so many opportunities to dispose of Vasili and he refused. By the end, you were yelling, “Get rid!”. Foolish. Gary Oldman didn’t make much of an impression at all. A talented actor reduced to an unmemorable role. He also seemed to forget he was Russian. His accent dipping in and out. It didn’t help that his character was built up to be a crucial figure in the case. But he was non-existent. Merely threatening Leo to stay out of his way and then allowing to do as he pleased. While Leo was pursuing the killer, Oldman’s General Nesterov was just consoling the grieving families. And then he disappeared. Only popping back up in the closing credits to explain what he did after this daunting case. Not a lot afterwards, either. A waste of an actor. I had to agree with someone that said the cast were doing their best Borat impressions. It was incredibly off-putting. But that’s Hollywood for you. Fares Fares (Zero Dark Thirty) was the biggest culprit. Terrible. Paddy Considine did as well as he could with the role but he didn’t really get to shine until the closing act. After a lumbering middle act, the last 20 minutes was suspenseful, intense and ridiculously violent. Hardy goes through more soldiers than Rambo. His mud wrestling battle with a foe was unbelievably hilarious. And as the film came to its abrupt close, there were plot points that just left me scratching my head. People being bumped off left, right and centre and without any real explanation or reason. A wasted opportunity. 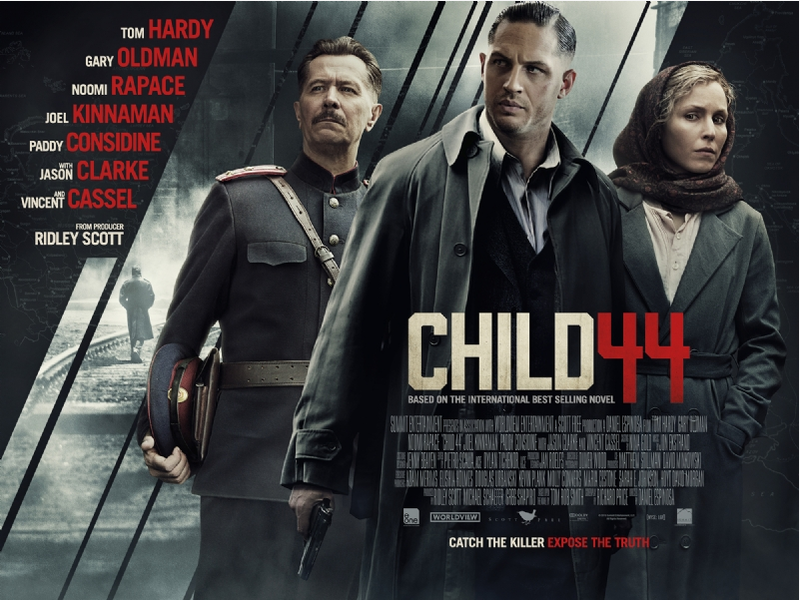 When I last checked the box office records, Child 44 had taken $600,000 a $35 million budget. A little harsh. It wasn’t all bad. But they took a gamble with a huge ensemble that didn’t deliver with a premise that was half baked. And penciling it in during the Avengers release was a big mistake. Clunky, overlong, hammy. This may have been adapted from a best selling novel but I’m not certainly venturing out to my local book shop to purchase a copy. The cons outweighed the suspenseful action sequences and charisma of the talented Mr Hardy.